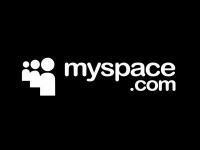 Where next for Myspace? | Lifestyle news. Almost six years ago the social networking marketplace was looking very different to how it now appears. The words on everyone’s lips were Myspace and Bebo, each catering for a different demographic. If you mentioned Facebook people would immediately remind you that it was just for University students. We were all curious but alas we weren’t allowed to use it. Although ever since Facebook became available it hasn’t looked back and the former leader, Myspace, has now seemingly hit rock bottom as News Corporation looks to cut off the lame duck. 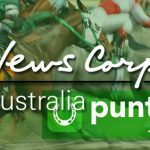 Rupert Murdoch’s group thought that they were at the forefront of social networking when they bought the site for $580million back in 2005, but an earnings call earlier today seems to signal the end of the site as far as News Corp is concerned. The extensive rebrand that was undertaken in recent months looks as though it hasn’t worked, and anyone that decides to take Myspace off the hands of News Corp. might want to develop a slightly different strategy. Looking at social network gaming might not be the worst idea for them to do as Zynga’s free play product continues to make strides in this arena. Taking market share away from the behemoth that is Facebook will be very tricky for the site and rebranding itself as a purely music site that offers social gaming might be the best avenue for them to take.